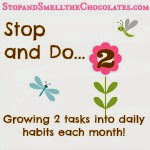 Stop and Smell the Chocolates: Bloggy Giveaway Carnival Is Here Again! Bloggy Giveaway Carnival Is Here Again! 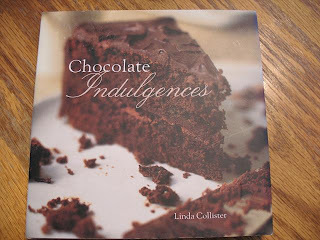 One random winner from comments on this post will get this lovely chocolate recipe gift book and 2 copies of this Precious Moments book to keep or share! Just leave a comment on this post to be entered. I did this before and it was fun: In your comment, tell me how long it has been since you've had some chocolate (Days? Minutes? Seconds?)! This giveaway is open to bloggers and non-bloggers, just be sure to leave me a way to get ahold of you in case you win! The giveaway is open through Friday night 10/31. I will post the winner on Saturday, 11/1. The winner will be e-mailed - if I don't hear back from you after 4 days, then a new winner will be drawn. Have fun! Stop back here tomorrow for one more giveaway! And stop by my other blog for a giveaway! You must go to the Bloggy Giveaways Carnival and check it out - there are hundreds (over 600 as I'm posting this) of giveaways and may even be a thousand by tomorrow! 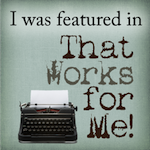 It's fun to stop by blogs and enter (note to self - entering more giveaways does NOT increase odds of winning), but also a nice way to find new blogs and new friends. Have a good time and I'll see you back here tomorrow for Tea for Two-sday and another giveaway! Currently eating a pumpkin kiss as I talk. Sadly it was yesterday! I had chocolate chips lol. A desperate fix I know! Lisa thank you for your honest heart in your comments on my post and I will be praying for you my friend in regards to it. Since I had chocolate? One day; had cookies yesterday. Shame shame! Thanks for the contest! 15 minutes.... Terrific giveaway. Thanks! I had some 100 calorie Chocolate Carmel Chex Mix this morning. Does it count if it is good for you??? If a tootsie roll counts, about an hour! LOL!! Real choc covering Milk duds about twelve hours...LOL!! I had chocolate last night and I am loving your giveaway! Thanks, now I want chocolate! I had some M&Ms a few days ago, trying to NOT eat any until halloween! I has been about 10 minutes since I had chocolate. I had chocolate this morning in my granola bar. Yum! I had a candy bar last week, but since then sadly nothing! I just made cookies 1/2 an hour ago lol. 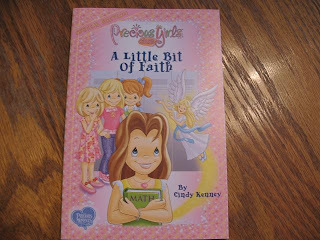 That precious girls book looks nice...I have quite a Precious Moments collection and with 2 little girls, this would be perfect in my home. Thanks! No chocolate for 17 days. I have a wgt problem that is getting serious and decided to do something about it. Have lost 9 pounds in the last 2 1/2 weeks. About 15 minutes ago...Can not resist the Halloween candy...M&M's...May have to buy more. Hmm, it was probably around 6pm. Yep, right before dinner! I am now craving the "pumpkin kiss" that your first commenter spoke about. Haven't tried that one. PS-Head over to my blog to check out my giveaway. No chocolate today... *POUT* It's been a day or two! I had chocolate chip cookies when I was feeding baby, watching chick flick, and doing laundry today. Around 5:00pm. Need more! I love read. These look great for curling up on a cold night. About 10 minutes ago for a fun-size KitKat. And it's not quite 9am here! Last night...but I'm about to get some more! YUM! I had some Lindt chocolate this weekend, it was so good! Thanks for the giveaway! A couple of hours! We have some chocolate dipped cookies in the shape of pumpkins. Yummy! You just reminded me I need to eat some chocolate. Last time I had chocolate-- currently. I had a Snickers bar yesterday. I'm wishing I had some chocolate now. I think I haven't had chocolate in a week! ahhhh! My husband just baked a bunch of junk food. I'm guilty I just had a brownie and a chocolate chip muffin. CHocolate chip cookies that my daughter baked a few moments ago! 7 hours since my last indulgence. its been 25 hours and about 40 minutes, i had a few chocolate chips on my ice cream! I had an M&M cookie about an hour ago! I am a true chocoholic - I got home from the store today and realized that I had forgotten to buy some chocolate and that's when I remembered that I had M&M's in the pantry waiting to be made into cookies - so, of course, that's what I did...and all is well again! Thanks for this great giveaway! I would love to read the PM book with my daughter! About 2 hours .. eating the Halloween chocolates again!! Hmmm...chocolate. About 3 hours ago when we had cake after my daughters last soccer game. A delicious fudge brownie on Sunday. 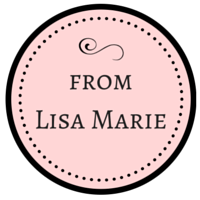 Love your blog, Lisa! I admit it , I had a herseys hug yesterday, and now that you have brought i up... I might have another. I had chocolate ice cream for dessert last night. It would be two days since I have had chocolate. daughters made some yummy chocolate cookies last night! I want these books!!!!!!! I had a chocolate cupcake Monday! Yesterday afternoon. I had a piece of Cherry chili chocolate made by Lindt. It is sweet then you get this nice little chili heat. It is so good. It has been way to long since I had some chocolate. I don't even remember when it was. I think I am going to head over to the cupboard and scrounge up some chocolate chips. I am drinking a hot chocolate from Starbucks so it has been a few seconds. the last time i had chocolate was after dinner last night. i always have to have some dessert even if it's just a piece of choc. candy! i had some about an hour ago...i love chocolate chips in a flour tortilla. i got my girls hooked on it too. oops. I had some chocolate about an hour ago in a chocolate malt. Yum! Yum! Are you spying on me? I'm eating Worlds Finest Chocolate right now! I'm eating a piece of chocolate Carvel ice cream cake right now! Those books look great! Great giveaway! I think it's been about an hour since I last had some chocolate....there is Halloween candy everywhere where I work! It's been 2 months since i've had chocolate!!! I am going crazy over here. Any time anyone has chocolate, i'm asking for a piece- and they won't share. I'm drooling just looking at the cover of that book! Hours, it's almost halloween, you know! It has been a few hours but I will probably have to have some again soon! Since Sunday because I am saving myself for Halloween. We have so much Halloween candy in the house, it's been so hard to resist. But I've been holding out and haven't had any chocolate since a half a bag of m&ms Saturday night. The other half is still sitting on top of the microwave, waiting for me to finish them. I'm eating a snickers bar right now!!! Thanks for hosting this great giveaway. I had a chocolate protein bar about 2 hours ago. Does that even count? If it doesn't - I had chocolate ice cream last night. Hmmm I had some chocolate about an hour ago.. Yummy.. would love to win this.. thank you! I ate half of the chocolate Halloween candy we are handing out to trick-or-treaters. Oh well I guess I will be making a chocolate run Friday. About 15 minutes. I had some chocolate caramel trail mix. Yum! I hope I get picked! Well its 9:27 in the morning right now and I just had some (still drinking) fudge creamer in my coffee... If that doesn't count then about 12 hours ago.. I LOVE chocolate!!! I had some chocolate about 18 hours ago. And it was delicious! About an hour ago I licked the spatula from making brownies. And now that you mention it (eating chocolate) I think I have to go eat a brownie! I had a brownie about 20 minutes ago. I think it is time for another. I'm still wiping the corners of my mouth from the Reese's I just finished. I had chocolate about an hour ago. I need some more! Thanks for the giveaway! The last time I had chocolate has been too long! Yesterday. I am going to go into the kitchen right now and get some! Thanks for the reminder and for the great giveaway! I had smaller than snack size Snicker bite at about 3:00 today. Oh, I just remembered, I just finished drinking chocolate milk. Does that count? I had dark choc 44 minutes ago! Chocolate, hmm about 10 minutes, but then it's halloween, or at least that's the excuse of the day! Charlie Chapin used to say "A day without laughter is a day wasted." Ok...i say a day without chocolate is a day wasted. I'm eating chocolate right now. well since there are leftovers from trick or treating, i'm eating chocolate right now!